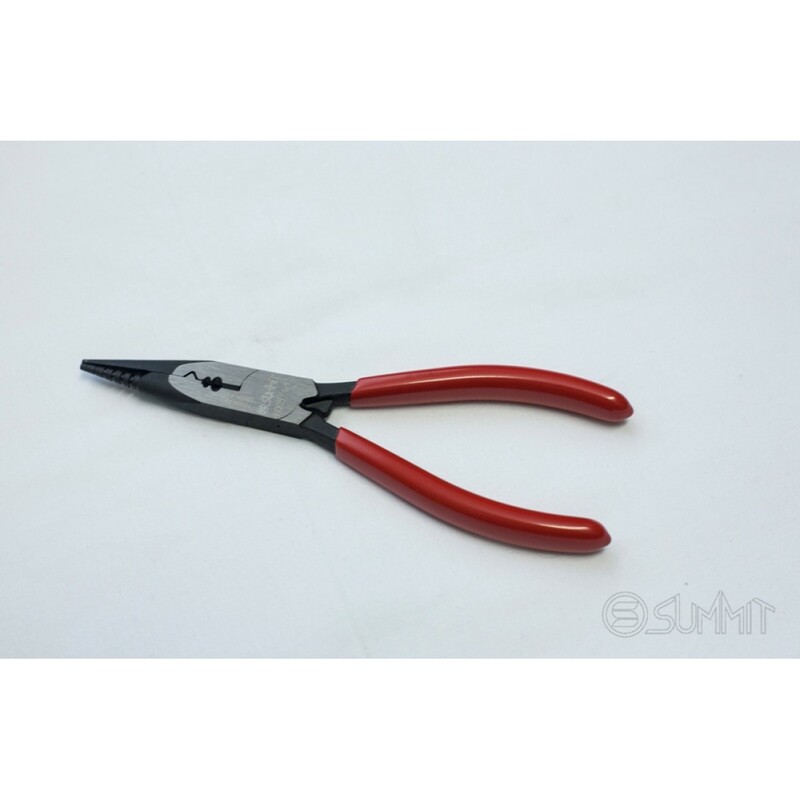 SUMMIT® multi-purpose pliers - StringThing, length 165 mm, weight 0,11 kg, material hardness Hrc 44-48/58+-2. With particularly shaped grooves for bending end string after cutting to prevent injuries on your fingers and damage on gigbags. 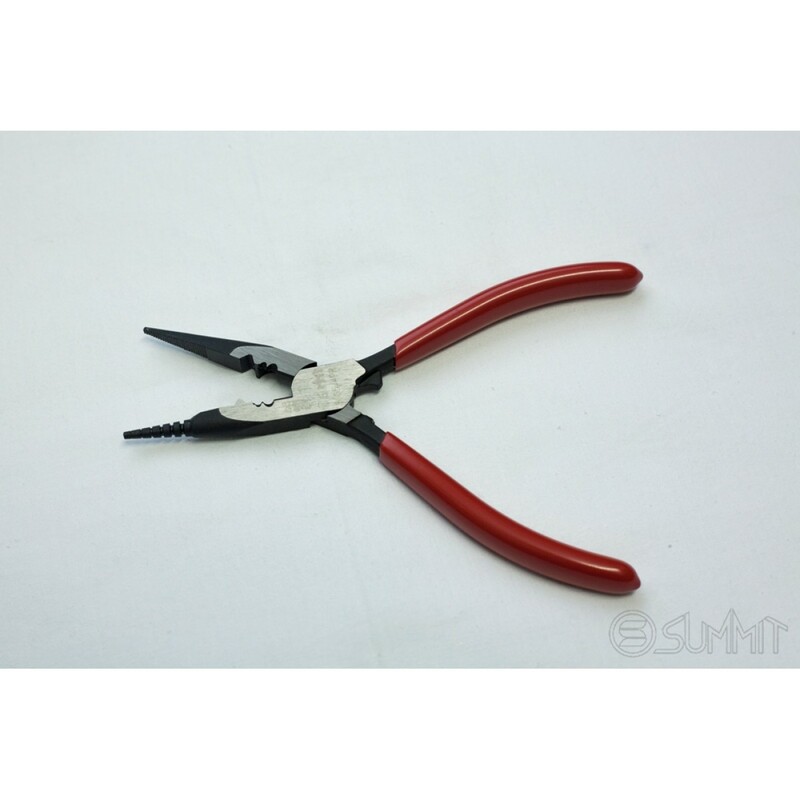 Specially Hardened Jaws. 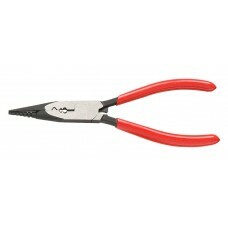 Rounded Plier Nose for bending strings. 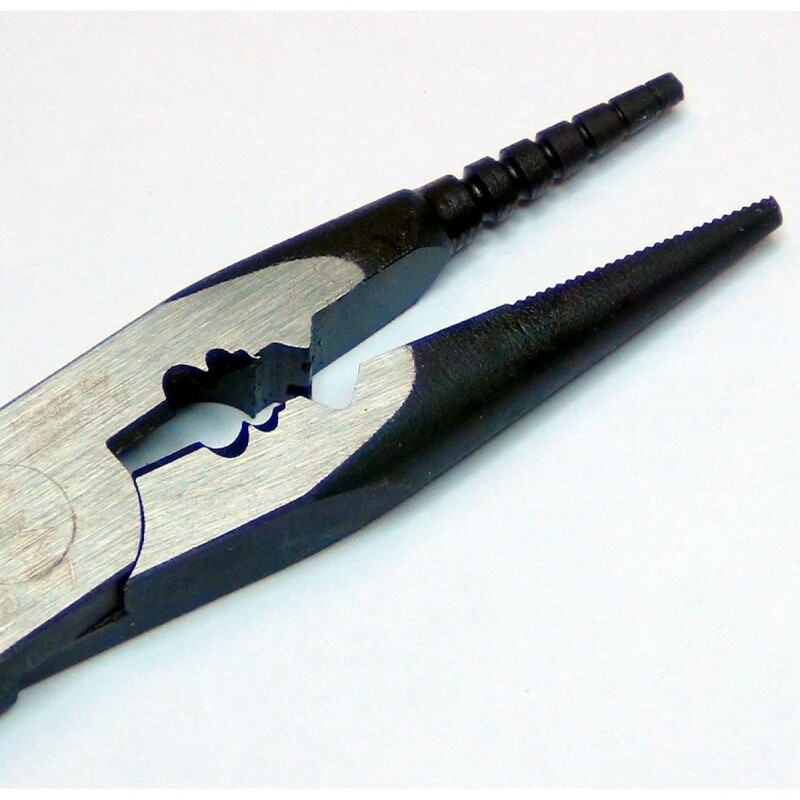 V crimp to aid Floyd Rose re-stringing. 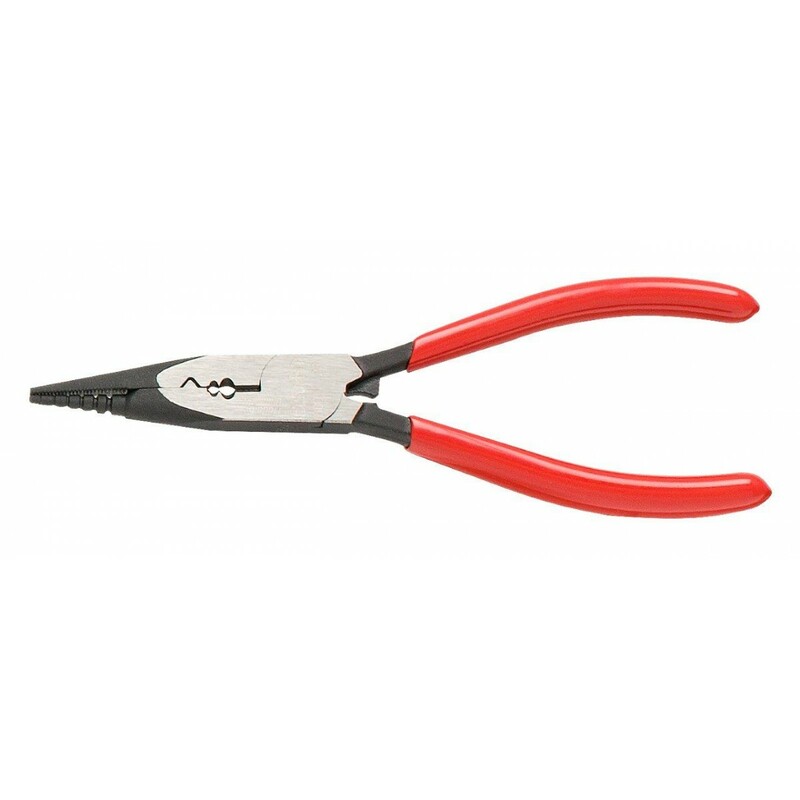 String SUMMIT® String Thing Pliers are designed only for cutting strings.